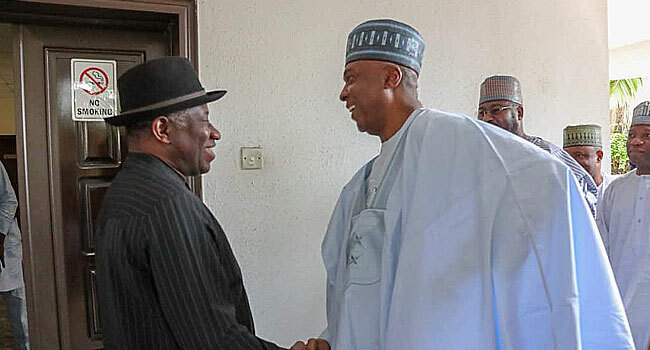 Senate President Bukola Saraki on Wednesday held a closed-door meeting with former President Goodluck Jonathan in Abuja. 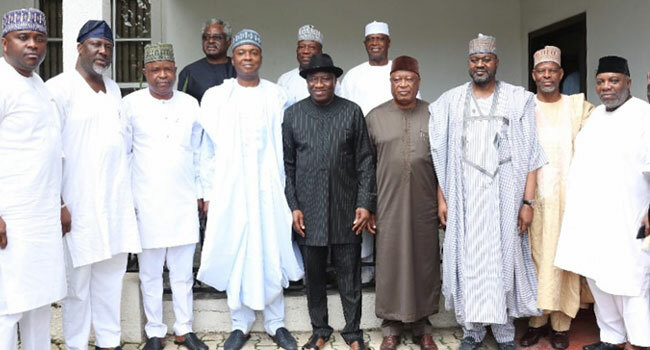 Saraki visited the former president in company with ex-National Chairmen of the Peoples Democratic Party (PDP), Barnabas Gemade, Abubakar Kawu Baraje; Senators Dino Melaye, Rafiu Ibrahim, Doyin Okupe and others. This meeting comes amidst speculations that the Senate President will join the race for the seat of presidency in the forthcoming 2019 elections. 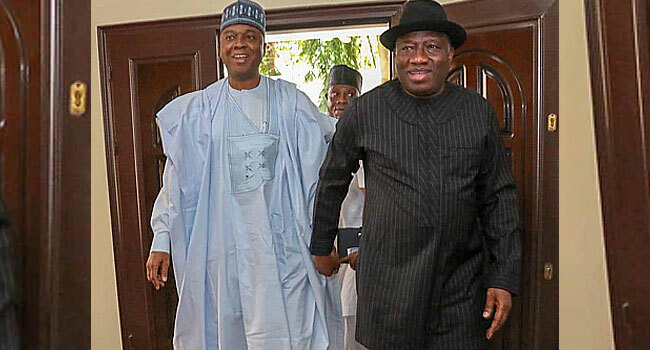 Saraki earlier in this month visited former military head, Ibrahim Babangida, in Minna, Niger State capital.